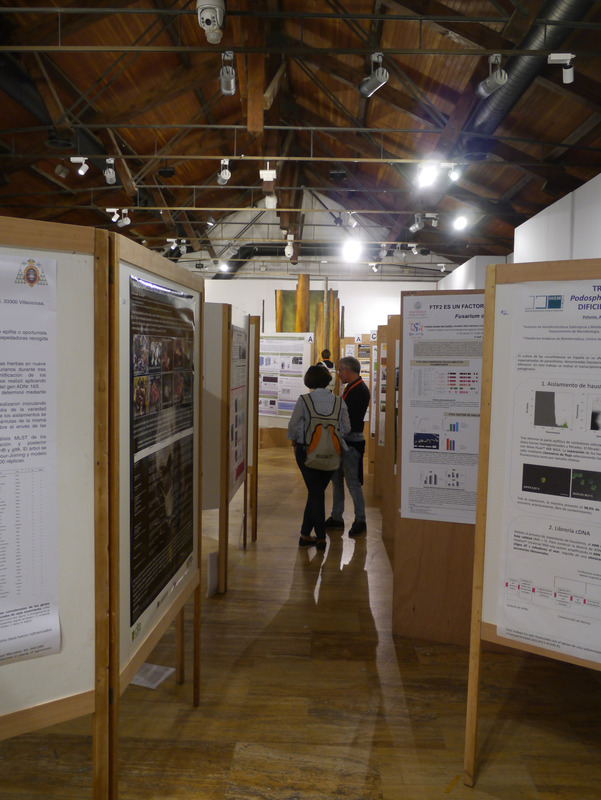 Our exhibition was located in the City of Palencia’s Culture Centre, a lovely building downtown just a few blocks from the Teatro Principal where the keynote speeches and many presentations were to take place. 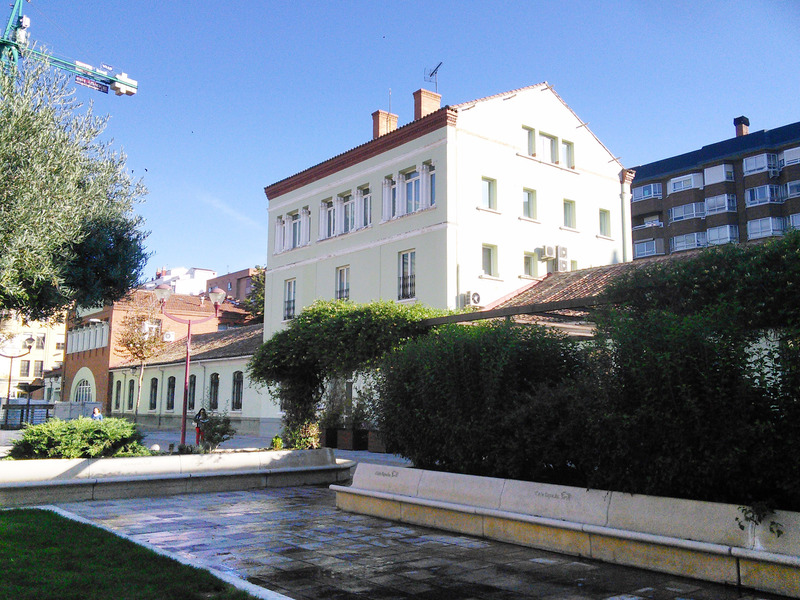 The City of Palencia’s Cultural Centre contains a gallery, a theatre/conference room and offices. 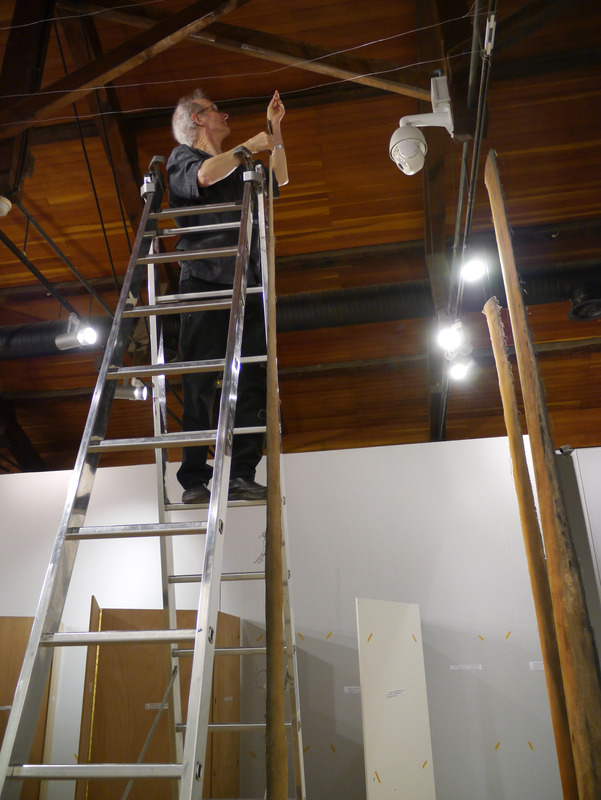 We rolled our suitcase of art from the hotel and unpacked our work so it could flatten out while we found the ladder, assembled our hanging kit, and surveyed the space. 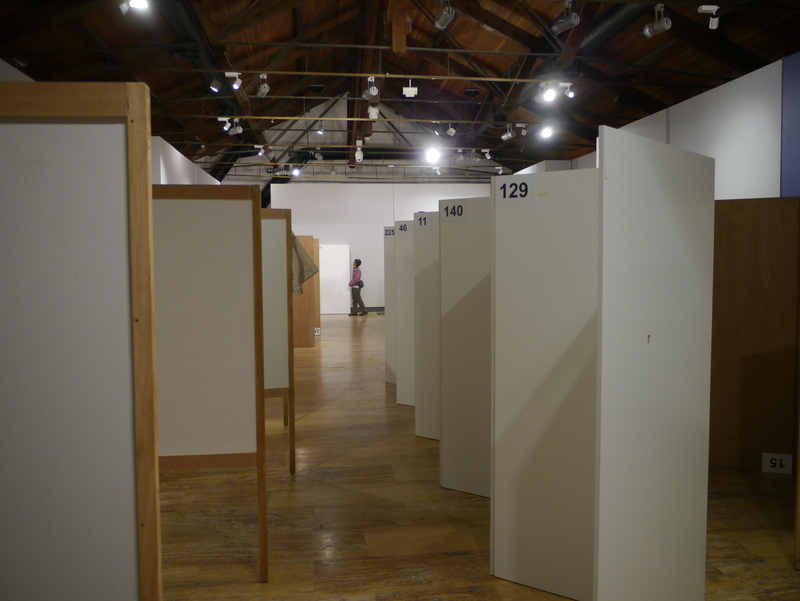 A few months back, Julio (the Congress organizer) had sent us a photo of a previous exhibition here, and it looked much as we imagined, with high ceilings and wooden trusses. The entire wall at the end of the gallery was set aside for us. 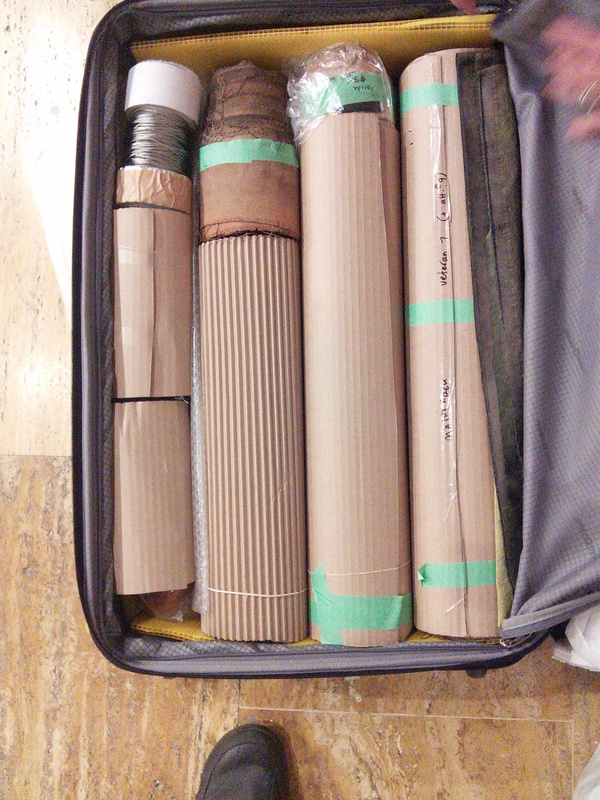 Claire’s canvas “trees” rolled up for travel. 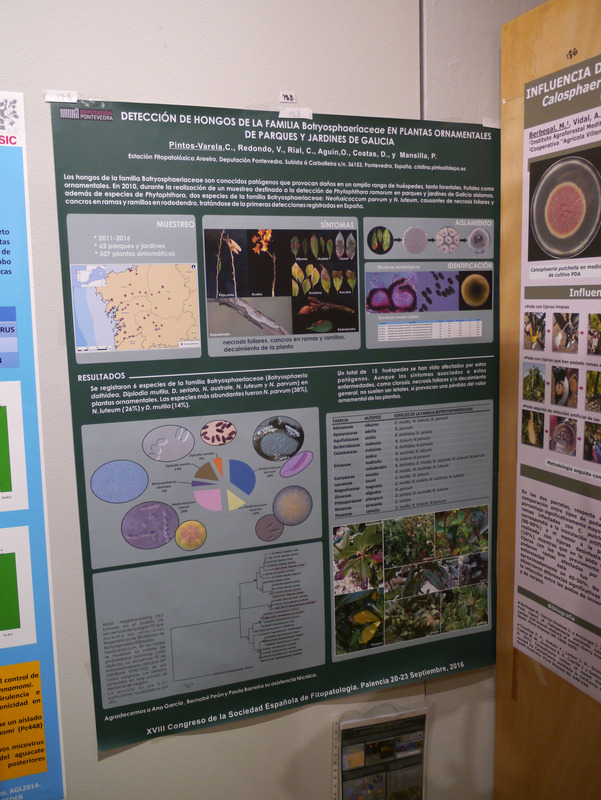 In the same space, a SEF Congress team was setting up a labyrinth of wooden support panels for the many “posters” – large plotter-printed displays with photos, diagrams and text summarizing recent plant pathology investigations. They were very helpful in finding tools and answering questions, as were the Cultural Centre’s staff, security and custodial personnel. The labyrinth of panels await the posters. Hanging took all Monday, plus the next morning. 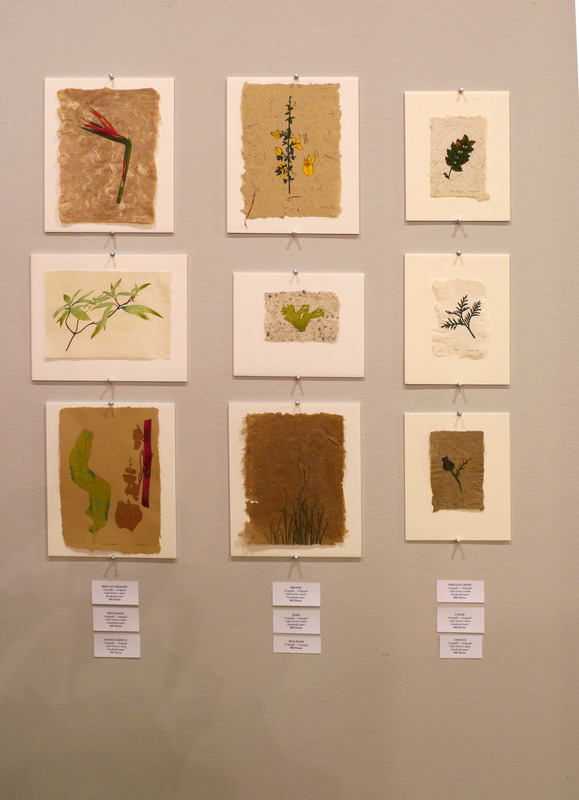 No accidents and no mishaps, although one of my hand-made silkscreened papers (Broom paper) fell off the wall twice! The dry atmospheric conditions meant that our low-tack tape was just strong enough. Claire makes a few adjustments to one of her trees. 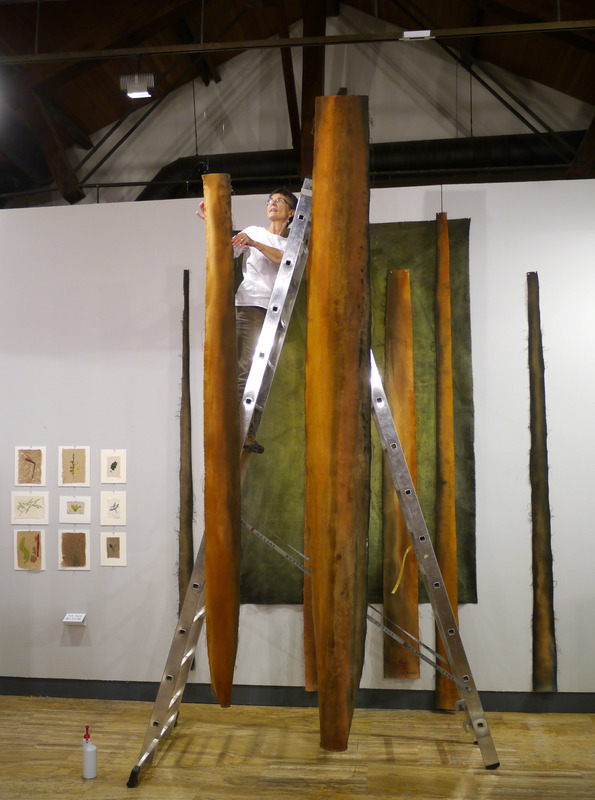 By running picture framing wire between trusses we were able to hang some of Claire’s trees farther out into the gallery to create a more dimensional effect. Bill with the high wires. 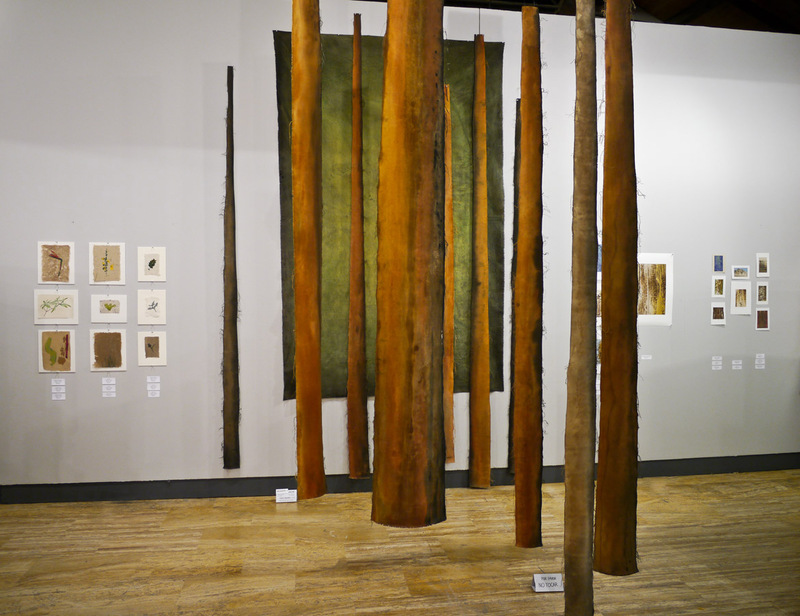 One view of our exhibit. 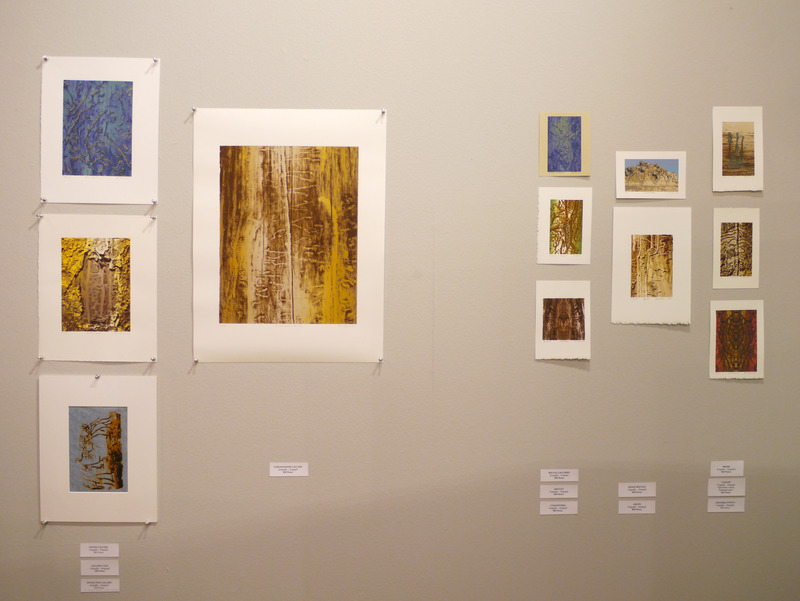 Bill’s silkscreened mountain pine beetle galleries. The labyrinth of posters installed in the Cultural Centre Gallery. 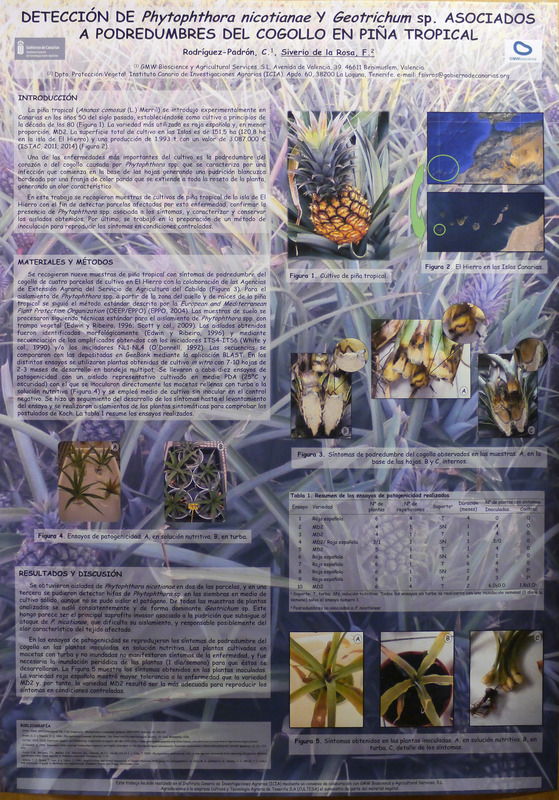 A sample of just how much information was packed into each corner of the panels of posters. 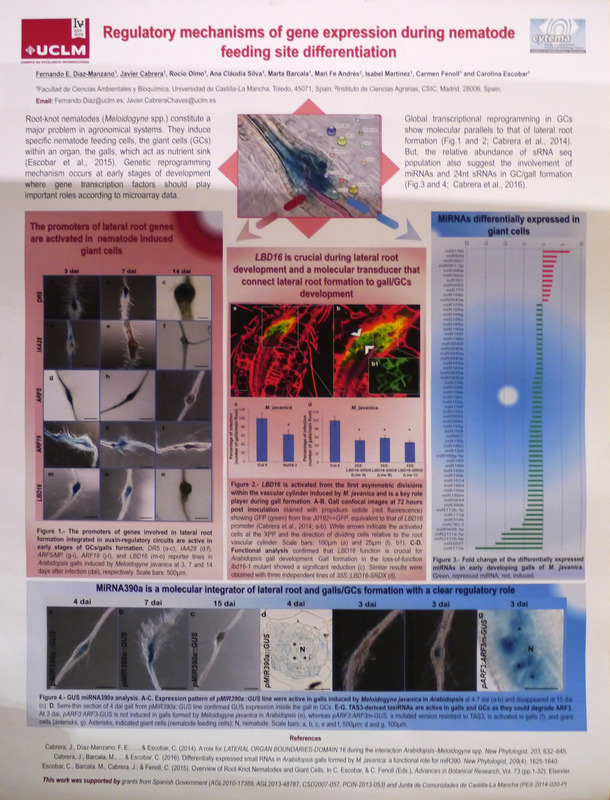 A significant portion of the SEF Congress was devoted to studies of the Xylella bacteria that’s been killing European olive trees. 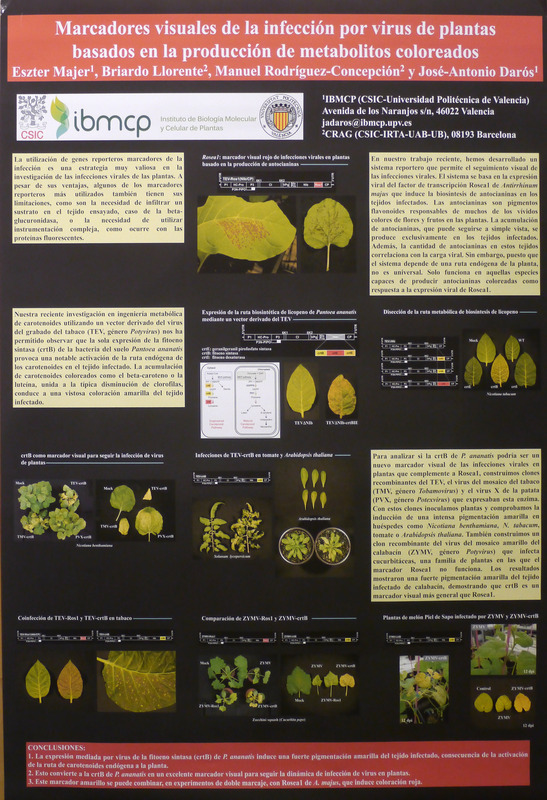 Visual markers of viral infections of plants. 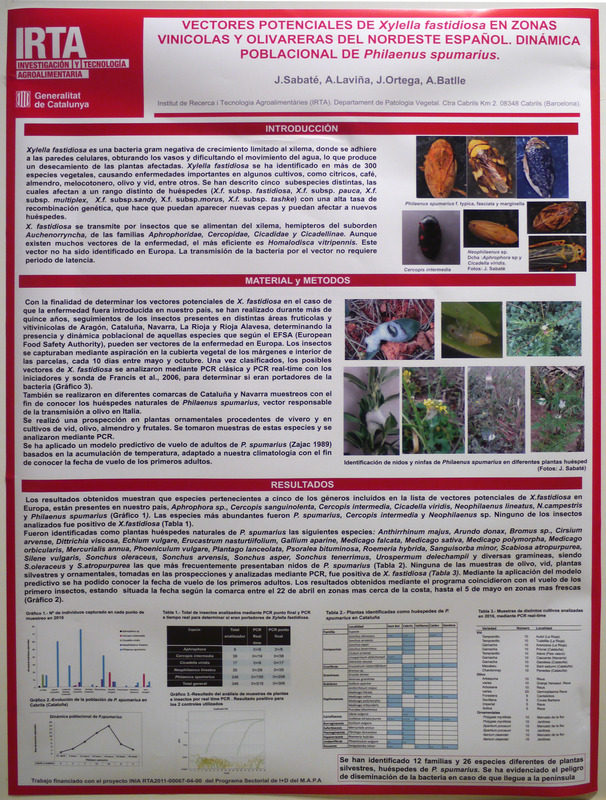 This entry was posted in España, SEF2016, Uncategorized and tagged environment, paintings, pine beetle art, plant papers, Spain, Travel. Bookmark the permalink. As always your art looks beautiful and adds so much to the conference!